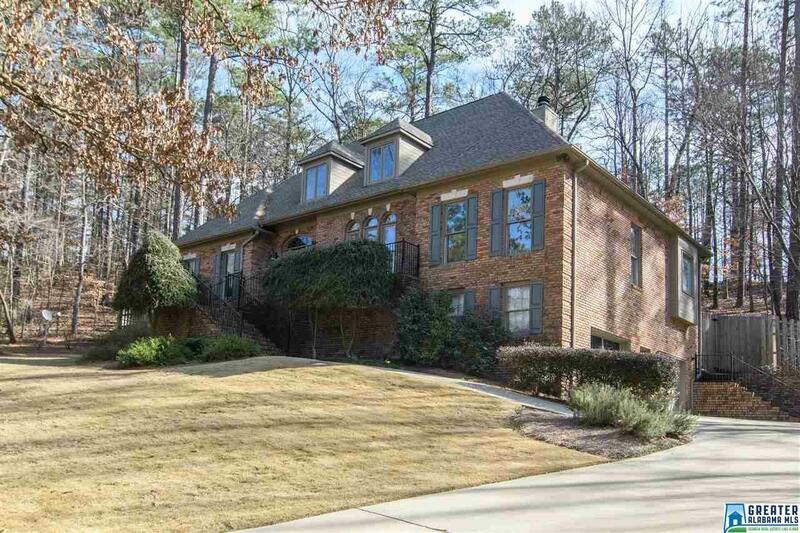 Spacious custom built, brick home on cul-de-sac in great neighborhood. If you desire quality and large rooms... then this is the home for you. Main level features living room, banquet size dining room, large kitchen with island and eating space, den with fireplace, huge master, master bath with double vanities and walk-in closet, laundry room and half bath. Upstairs boasts 2 bedrooms with Jack and Jill Bath and 3rd bedroom with a private bath, plus walk-in attic storage. Basement offers a unique rec area with special lighting, sink area and full bath. Large garage space with cedar closet, storage, work area and still space for several cars. You can enjoy entertaining on the large open deck and screened in porch. Great play area for children adjacent to porch with fenced yard. This one owner home has recently been updated and painted with neutral colors. Lots of amenities. Don&apos;t miss seeing this one! Super convenient to I-459, Summit, downtown, schools and churches.